One pound of tea will make approximately 220 servings. Our hot teabags will make 12 ounces of hot tea. Green teas are best prepared with a water temperature around 185 degrees. Oolongs are prepared with water around 205 degrees. Black teas are best prepared with boiling water. Our iced teas can be prepared either traditionally or with an iced tea brewer. To brew the perfect cup of tea, please see the Tea Quantities Guide and Brewing Time and Water Temperature Guide below. Fill the tea pot with the boiling water and let sit for a couple of minutes. Pour this hot water out of the tea pot as more water is coming to a boil. Place the measured loose leaf tea into the tea pot. Add new hot water to the tea pot. Let brew for the time indicated in the guide below. Pour off the brewed tea, straining the leaves. The table below is simply a guide. Feel free to adjust quantities according to your taste preferences. Oolong Tea 7 minutes Let the water rest for 30 seconds after coming to a boil. Green Tea 3 minutes Let the water cool for about 1 minute after coming to a boil. Place the 1-gallon filter bag into a heat tolerant 1-gallon pitcher. Add 2 quarts of boiling water to the pitcher. Allow the tea to brew for 15 minutes. Remove the filter bag, squeezing it gently to allow all of the brewed tea to remain in the pitcher. Add 2 quarts of cold water and stir. Place the 1-quart filter bag into a heat tolerant 1-quart pitcher. Add 1 quart of boiling water to the pitcher. Allow the tea to brew of 8 minutes or longer if you prefer stronger iced tea. 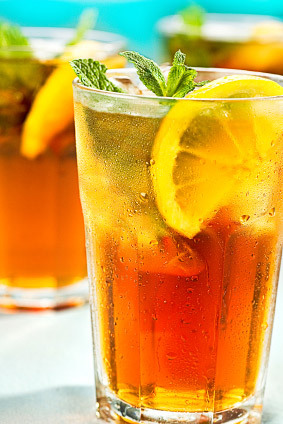 Iced tea can be kept at room temperature for up to 8 hours. Refrigerated iced tea may cloud. If it does cloud, add a little hot water. Tea can be best kept for a longer time period if stored at room temperature, in a dry location, closed within the packaging it is shipped with, inside the original box and away from strong odors. Never store tea in a refrigerator or freezer. Under these conditions above, tea should easily have at least six months to a year of shelf life. Tea kept well does not spoil unless exposed to water, but its flavor may diminish over time.